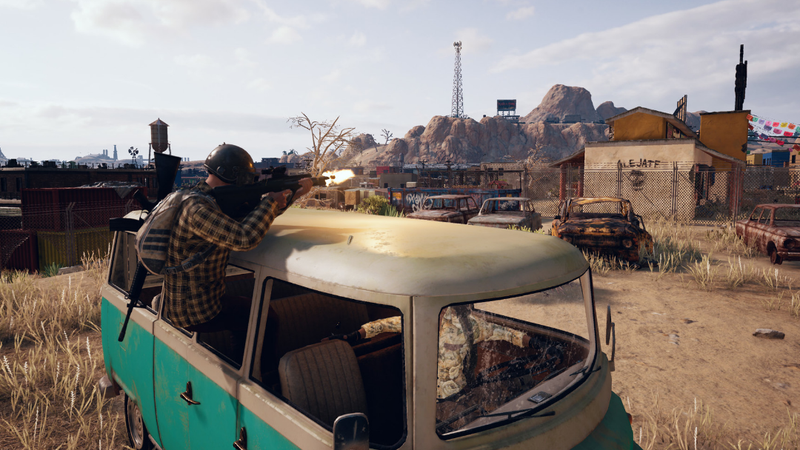 PlayerUnknown’s Battlegrounds players have been through a lot since the game’s release early 2017. Although the survival shooter went viral and earned the love of millions of fans, players had, and still have, lots of complaints. The game’s been buggy. It’s been full of cheaters. And now, the rollout of a $10 Event Pass has sparked the ire of its already ireful community. Battle passes are so hot right now, with both Battlegrounds and Rocket League receiving them at the same time months after Fortnite’s success with them. In theory, it’s a great way to encourage players to appreciate a game’s breadth and depth and award them for doing so. In Fortnite, the pass is mostly uncontroversial: The game is free to play, but for $10, players can add a sense of direction and achievement to its otherwise drop-in-drop-out, snack-sized structure. In Battlegrounds, however, the introduction of the Pass has struck the community a little differently. Lots of players wanted a progression system like this, yes, but they expected it to be added to the game as a free update, considering that the $30 Battlegrounds is not free to play. Moreover, the Event Pass system has apparently launched with a lot of bugs. Battlegrounds has received an onslaught of negative reviews on Steam since the Event Pass’s release. On Battlegrounds’ subreddit, players have detailed several issues with Event Pass quests that make them difficult to accomplish. For example, it looks like a few quests are only achievable in solos rather than in duos or squads mode, which many players prefer. Others require that players deal a “killing blow” to opponents, the conditions of which seem hyper-specific. Also, it seems, for Battlegrounds to record a player’s achievement, players must play a “complete game,” which the Pass defines as a game in which they survive for five minutes after the plane takes off. Anyone who’s played Battlegrounds at all knows that’s not always a realistic scenario. The other side to the backlash against Battlegrounds’ Event Pass is the simple fact of its existence. It’s not a full progression system. Battlegrounds has struggled with optimization since release. And in a game where a win comes around very, very rarely, giving players the opportunity to achieve small accomplishments can help keep them around. [Update—3:45 pm ET]: A Battlegrounds spokesperson told Kotaku that they’ll have patch notes going up by midweek to “address some of the fixes we are implementing in regard to the Event Pass.” [Update—10:30 AM ET, 6/27/18]: Battlegrounds is making several relevant changes to the Event Pass ASAP, noting that some are based on players’ feedback. Battlegrounds halved the amount of time necessary for a its Event Pass to register a “complete game.” It’s also increased the daily XP limit.